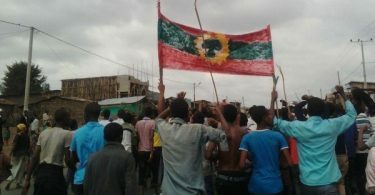 (OPride) — Ethiopia’s leaders continue to improvise a workable response to the popular uprising in Oromia state. An estimated 400 people have been killed and tens of thousands arrested in the ongoing upsurge in Oromo protests that broke out last November. Initially, Ethiopian authorities pointed fingers at the usual scapegoats, “anti-peace elements” and armed opposition groups operating from archrival Eritrea. As the size of the protesters swelled, officials started to admit — albeit timidly and tangentially — that the protesters’ grievances are legitimate. As the death toll rose inflaming the populace, the authorities stated that the disproportionate use of force was a mistake, an admission made to a visiting U.S. state department delegation in January. On March 22, the Voice of America reported that the OPDO is purging more than 300 local government officials. And that some may soon face criminal charges. The mass purge follows the demotion in early March of two senior OPDO officials:Dhaba Dabale, Head of Party Office, and Zelalem Nemaneh, Head of the Natural Resource Bureau of the Oromia Regional State Government, both members of the Executive Committees of OPDO as well as EPRDF. The sacking of OPDO officials is not unexpected. The ruling Ethiopian People’s Revolutionary Democratic Front (EPRDF) faces unprecedented opposition from Oromos in all walks of life, including the nationalist regional leaders, police, and the local militia. Yet Desalegn and his party want to reduce the question of good governance to whether the local government officials that citizens come in contact with to meet their public service need is corrupt or not. The fact of the matter is the entire system is riddled with corruption. And a majority did notgo on the streets in reaction to abuses suffered in their interactions with local officials. In fact, the protesters had little to no altercation with one such local officialdom, the regional police. Neither are they grieving about the quality of public service provided by local officials, poor as that is. In fact, one doesn’t need to come in direct contact with a government official to feel the influence of the state. The suffocating effects of the all-embracing one-to-five structure known as Shane or Got and Gare is felt by the public as they go about their daily lives. The master plan, which triggered the current Oromo protests, is not the handiwork of local government officials. The orders to shoot and kill protesters were not issued by local government officials. The order to detain thousands of protesters and herd them in concentration camp like detention centers is not issued by local government officials. 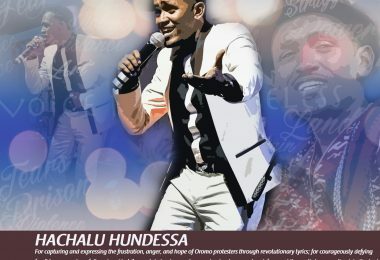 As speaker of the house Abbadula Gamada implied recently, local government officials have no say in the daily propaganda manufactured by state-owned media, full of highly convoluted narratives and over the top claims about development that are foreign to the lived experiences of average Oromos. Local officials were not the ones that ordered the detention of prominent opposition leaders and journalists critical of the regime. Regional authorities have no say in tilting the balance of power between the federal government versus the states. Local officials had no say in crafting a land policy that dispossessed and displaced thousands of poor farmers from their ancestral lands. The decision to make Ethiopia a one-party state is not made by OPDO officials. The decision to keep 99 percent of the top brass of the security forces in the hands of the Tigrayan ethnic group, which makes up a mere 6 percent of the population of Ethiopia, a country made up of many ethnic groups. 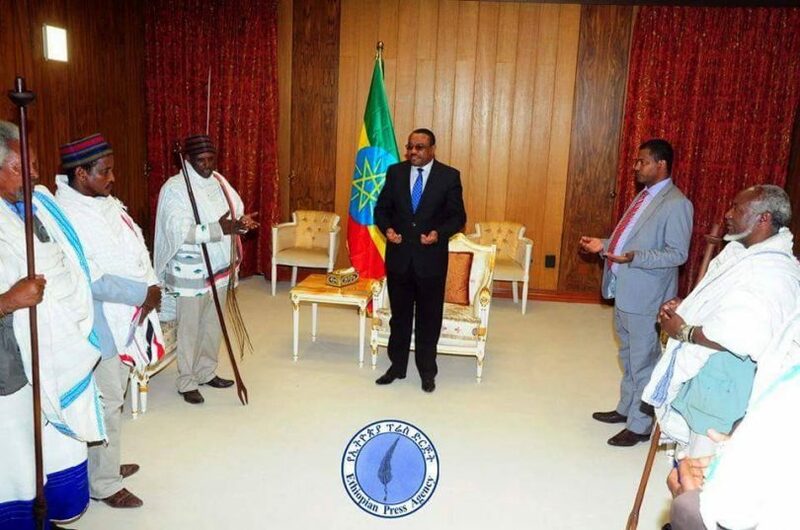 This week Desalegn also hosted the traditional Abba Gadaa leaders — the first such encounter between traditional Oromo leaders and state leaders in modern Ethiopian history — in what appears to be a last-ditch attempt to calm tensions in the populous state. 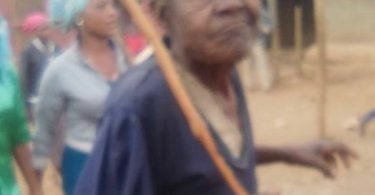 While pledging to help calm the situation, the elders pressed the PM to make amends with the Oromo, pay compensation to victims and remove federal security forces from Oromia to reduce the current insecurity and standoff. As with hitherto mixed messaging from EPRDF officials, the ensuring purge of OPDO leaders is unlikely to quell the uprising. The reason is simple: the Oromo grievance includes but is not limited to questions over the lack of good governance, rampant unemployment, and corruption. The longstanding issue of the political, economic and cultural marginalization of the Oromo is at the core of the Oromo and Ethiopian state conflict. Neither the purges nor the rhetorical gymnastics and charm offensives by the PM can tackle the core issue of marginalization. In fact, these measures do not even scratch the surface of the problem, let alone address it meaningfully. For example, despite making up close to half of the county’s population, the Oromo account for a mere 11 percent of the federal bureaucracy. While Oromo members form a numerical majority in the rubber stamp parliament, the Tigreans or their minions hold the key posts. During the past 25 years, Tigreans occupied the positions of Prime Minister, Minister of Foreign Affairs, and Army Chief of Staff. When a non-Tigrean is placed at the head of a pyramid, power shifted to a Tigrean minder who ran the show behind the scene as a puppet master. For example, when Meles Zenawi first came to power, his title was President and the presidency had all the powers. When he decided to instead become Prime Minister, the presidency was rendered a mere ceremonial position. The same is true with other ministries. Currently, Desalegn, a non-Tigrean, holds the premiership but, in reality, power is wielded by senior hardline Tigrean advisors. The government claims that power is devolved to the states. The reality is such that the regional states, especially Oromia, do not have the powers of a province, let alone a sovereign state in a federation. Economically, the Oromo sit on the most fertile lands. But land is owned by the federal state, which is ready to displace farmers in the name of investment and development. Farmers are compensated $0.80 per square mile whereas the market rate is $17,777. Culturally, the Oromo language, the most widely spoken language in the county, is relegated to the countryside, which is fast dwindling in the face of rapid urbanization. A farmer whose farmland is gobbled up by the sprawling capital, Addis Ababa, could not even plead his case at the courts in the city in his native language, Afaan Oromo, let alone receive public service there. Reduced to being security guards, beggary, and menial labor, local Oromos will also have to forfeit their cultural identity and pride in self. Such is the fate of the Oromo in general and those born in the small towns and countryside adjoining Ethiopia’s capital. Ending Oromos longstanding marginalization in Ethiopia is not an easy task. For starters, Ethiopian authorities must heed the protesters’ demands and release all political prisoners detained as part of the ongoing crackdown as well as previous ones. It should also set up an independent, transparent, and credible commission of inquiry into the killings of hundreds of unarmed protesters. In the intermediate period, EPRDF needs to address the issue of its legitimacy to rule. Six months after winning 100 percent of the seats in parliament, the Oromo public had dealt the party a total rejection. Holding new elections under a level playing field at least in Oromia is another measure that could reduce tensions. The EPRDF regime must also elevate the Oromo language as a working language of the federal government at par with Amharic. 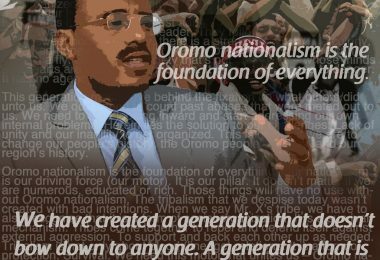 As a long-term measure, the ruling party needs to make the federation more meaningful by separating and delineating state and federal powers and moving back the encroachment of federal powers in all matters and opening up the political system so that the Oromo, as well as other people in Ethiopia, could govern themselves through a representative and accountable government they freely chose in open, free, and fair elections.